North London is still white, albeit with a slightly red hue. 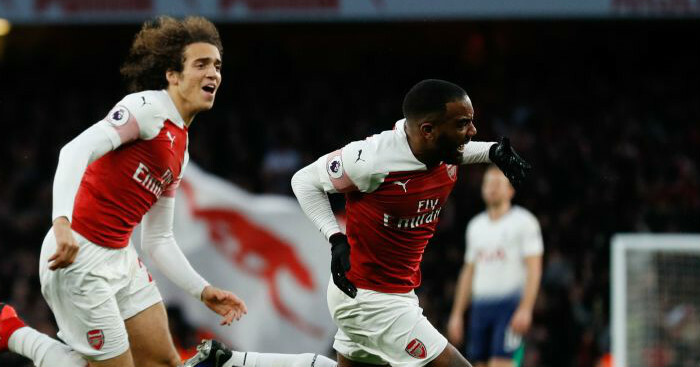 As Unai Emery said in midweek, Tottenham “are better than” Arsenal “at the moment”. But that is the thing with moments: they really do not last long. 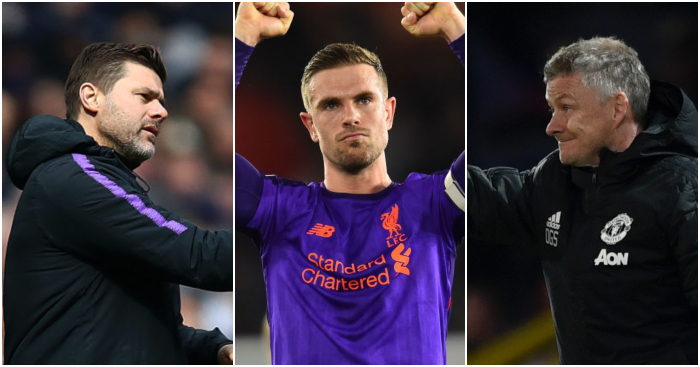 The title race’s awkward third wheel could soon become part of an equation where four simply does not go into two Champions League qualification places. If finishing fourth was a battle, coming third might well be a war. Tottenham have reverted to the great but not quite brilliant mean. 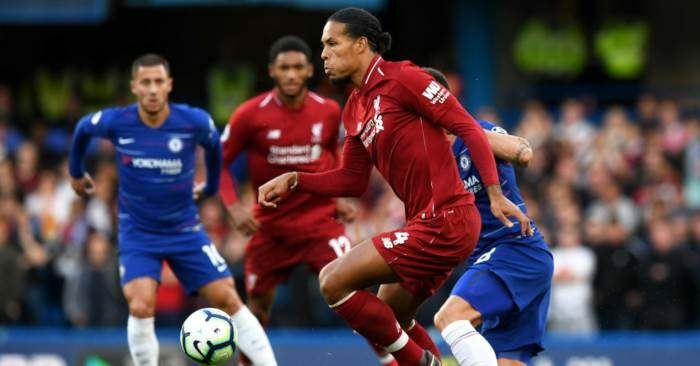 It is hardly embarrassing that they have been unable to keep the pace of either Liverpool or Manchester City for an entire season, considering they tied their own hands behind their back in the summer. But it is disappointing that they have fallen away quite so drastically. It’s not that the wheels have come off, more that Mauricio Pochettino has been understandably unable to patch up a self-administered slow puncture. Arsenal and Manchester United are in hot pursuit, while even Chelsea are buoyant after Wednesday’s win. 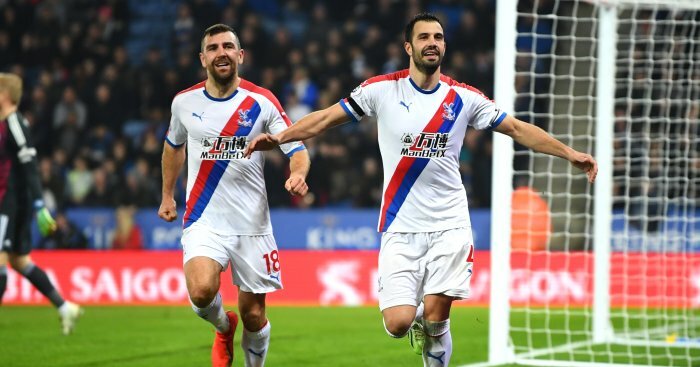 A meeting with their most bitter rivals is therefore either the best or worst possible game Tottenham could face right now. It could galvanise a squad in need of fresh impetus, and refocus the minds after recent distracting results. Or Arsenal might relish the opportunity to pour salt into the open Wembley wound and close the gap to just one point. The Gunners have quietly won eight of their last 12 games in all competitions. They are flying under the radar: neither flirting with crisis like Chelsea nor riding the crest of a wave like Manchester United. That middle ground has played in favour of a side who have grown in confidence away from the spotlight. The top flight’s fifth-best home record hosts its eighth-best away record, with Tottenham desperate to avoid a third straight Premier League defeat. They have suffered that fate just twice since Harry Redknapp was appointed in October 2008: both instances included 5-2 Arsenal victories in March and November 2012. Emery would give anything for a repeat scoreline. Tottenham are the superior side “at the moment”, but Arsenal really are not far behind. It was in February 2016 that a brilliant season became an unparalleled one for Riyad Mahrez. 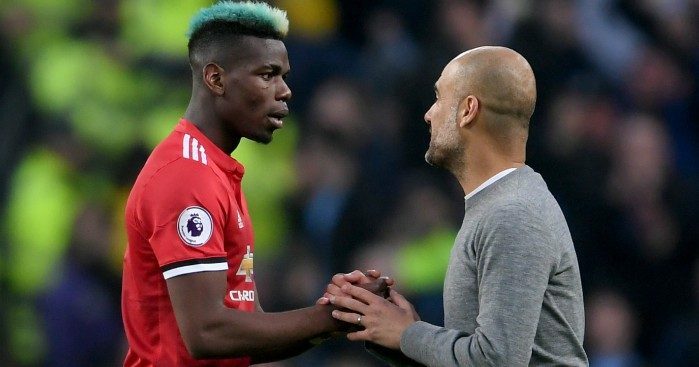 The winger was unplayable in Leicester’s Premier League title-winning season; that remains the case with Manchester City three years later, albeit in a completely different way. His first Premier League start of the year came against West Ham in midweek, and that he was substituted after 55 minutes speaks volumes. Mahrez had one shot on target and failed to create a single chance before making way for Raheem Sterling. The Algerian was not alone. Leroy Sane was taken off two minutes later after a similarly ineffective performance as City toiled. But Sane has credit in the bank, whereas Mahrez is already biting into his overdraft. He looks a shadow of the player who took the league by storm with Leicester. A chronic lack of understanding with Kevin de Bruyne was plain to see on Wednesday as teenage debutant Ben Johnson coped with the £60m summer signing with relative ease. City cannot afford such passengers, and so Mahrez could well find himself out of the starting line-up to face Bournemouth. But if he is given a chance on the south coast, be it from the bench or otherwise, he absolutely has to take it. His manager’s patience will only last so long. Brighton fans: Do not panic, but history shows that this particular downward slope might not be about to curve upwards any time soon. Chris Hughton really has been here before. The unfathomably-60-year-old has overseen 27 games as a Premier League manager in the months of March, April and May, winning just six and losing 14. His top-flight seasons with Norwich and Brighton have all followed a similar pattern of a fairly promising first two-thirds of the campaign retrospectively counteracting a horrible final three months. Norwich entered March eight points clear of the relegation zone in 2013 and managed to maintain that gap by virtue of winning their last two games of the season against West Brom and Manchester City. The following year, a dreadful few months culminated in a 1-0 defeat to West Brom and Hughton’s sacking on April 6. Even last campaign, Brighton’s only victories after February came against Arsenal and Manchester United as they scraped together enough points in the autumn and winter to ensure a difficult spring did not harm their step. 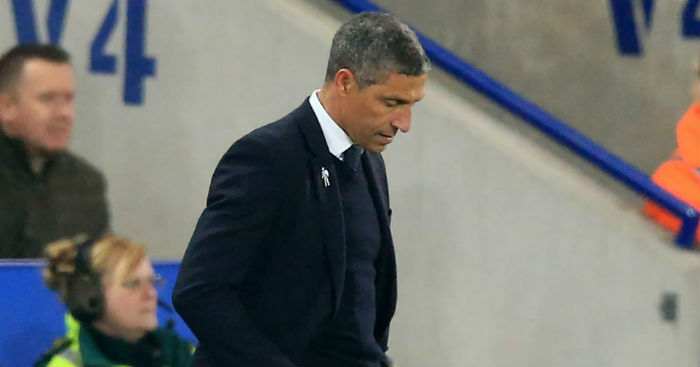 Hughton might well have to improve on that tally of 25 points in 27 games in Premier League games in March, April and May if Brighton are to stall their fall into the Championship. They host Cardiff, Southampton and Newcastle in matches they absolutely cannot afford to lose. But a home game with Huddersfield to close out February is one they really must win. The Terriers will be a dangerous opponent after a midweek victory over Wolves that means they – and every other Premier League club – have picked up more points than Brighton since January 1. There has never been a better time to arrest an alarming slide and rewrite history. Unbeaten in his last three Premier League games, is it? It turns out that a 0-0 draw away at a Manchester United side unbeaten in the Premier League since December was not such a cataclysmic result. Liverpool, leaders as we head into a finely-balanced final ten games, are no longer ‘choking’. The tables turned once more on Wednesday. The Reds swatted Watford aside in a show of irresistible nonchalance that belied the pressure they are under, while Manchester City laboured to an unconvincing win against a determined West Ham down the M62. The one-point gap remained, but the impetus seemed to shift. Jurgen Klopp will, of course, realise it is not quite that simple. Momentum is a particularly fickle beast when discussing teams who have dropped 16 and 15 points over the course of the last seven months, and will almost certainly swing back and forth before the season’s conclusion. The desperation to make snap judgements only heightens the sense that the title is being won and lost every weekend. But having been in a position of surprise superiority, Liverpool now hold the most modest of leads. They allowed complacency to creep in when the gap to City became a chasm, and know that is no longer an option now it is a mere crack. Perhaps they need to feel the breath of those in close pursuit on their necks to bring out the best in them. Liverpool have fate in their own hands, but it is a loose grip. Six of their final ten games are against teams in the bottom half, while they have just one away game left against a current top-half side. That comes on Sunday, with the visit to Goodison Park. Everton may have been rivals if not equals when these two sides met in December, but that David and Goliath dynamic has returned. The Toffees have won three and lost six of their last nine games as the glass ceiling has threatened to fall in on them. Most pertinently, they have not beaten Liverpool in their last 18 attempts. Marco Silva was the only manager to have ever faced Klopp more than once in the Premier League without losing before Divock Origi eventually intervened at Anfield two months ago. Everton will do well to come so close again. A round of Championship fixtures that ends with the Steel City derby on Monday evening begins in similarly eye-catching fashion on Friday. It is not often that third hosts fourth, both having lost their most recent games, in any division. But then this is no ordinary league, and neither Leeds nor West Brom are ordinary teams. Leeds will barely have had time to digest Tuesday’s defeat to a QPR side that had lost their last seven league games by the time they face West Brom on Friday. The Baggies will have had almost a week to stew over a 1-0 defeat at home to Sheffield United. With four points already separating the two sides, a home win could curtail West Brom’s hopes of automatic promotion. Leeds have lost five of their last ten Championship games; it really could go either way. 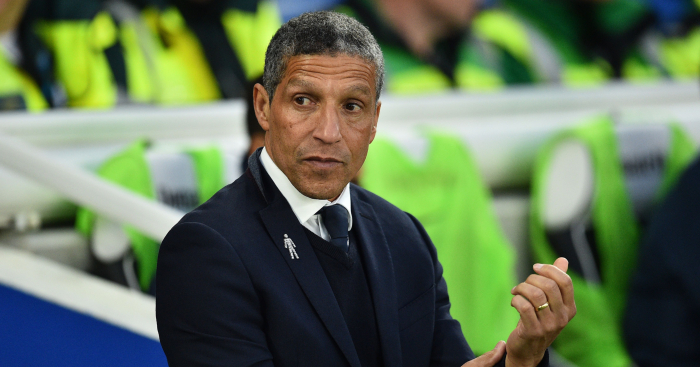 It's not often Chris Hughton says anything too revealing to the press. But Anthony Knockaert's tackle warranted it.